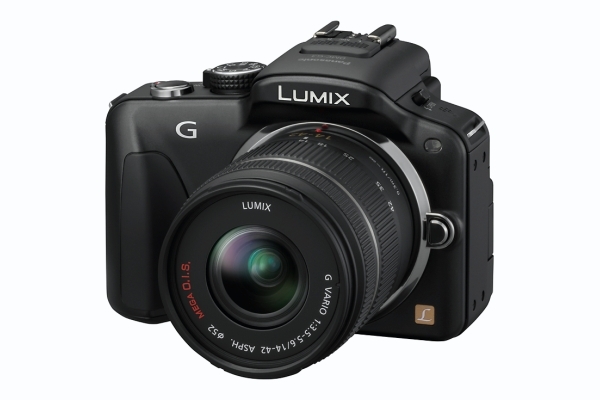 "The G3 heralds the start of Panasonic's third generation of mirrorless cameras. In some respects it's a refinement of previous models; its electronic viewfinder and hinged rear display screen are identical to the G1 and G2, for example. However, behind the aluminium front panel of its slimmed-down, externally-simplified body lies a completely new 16.7MP sensor. This makes it the first mass-market Micro Four Thirds model to move beyond Panasonic's 12MP chip." This is one of those good news and bad news cameras, if you ask me. The image quaility is good, but the decrease in external controls and reduced grip means a lot of Panasonic's own lenses are harder to use. Still the price is not too bad (it is cheaper than the G2) and the improved image quality means it can hold its own against entry-level DSLRs, while providing a user interface that is more accessible to casual users. I am now waiting to see what Panasonic does with the GH3. Will they dumb it down like the G and GF series, or will they bump it up a spec to compete with the 60Ds and D7000s?